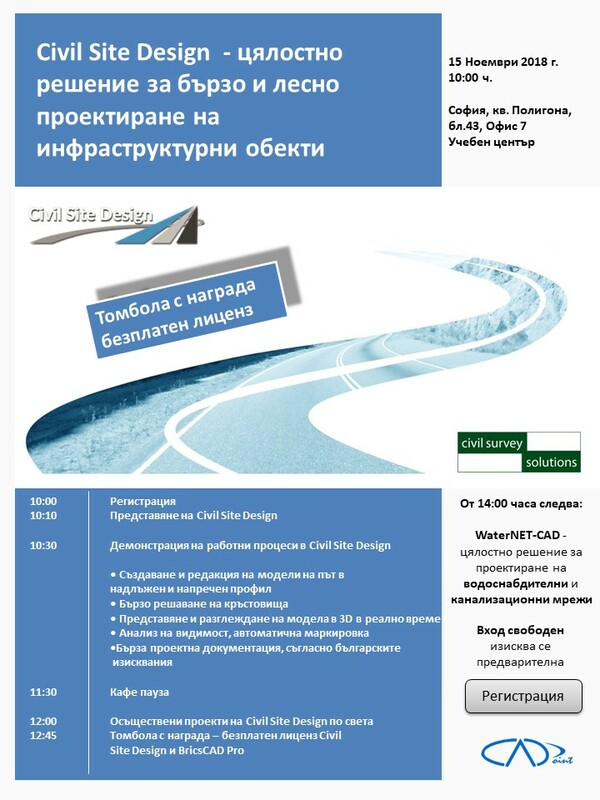 This entry was posted in Civil Site Design and tagged Civil Site Design, Семинар on November 5, 2018 by BlagoyO. This entry was posted in Civil Site Design and tagged Civil Site Design on June 11, 2018 by BlagoyO. 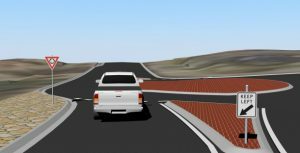 This entry was posted in Civil Site Design and tagged AutoCAD Civil 3D, Civil Site Design on May 11, 2018 by BlagoyO. Излезе нов версия на Civil Site Design v18.20, която включва много нови функции и подобрения. Тя може да бъде свалена от Civil Survey Solutions Subscription Portal или през Welcome Screen на Вашия Civil Site Design. This entry was posted in Civil Site Design and tagged Civil Site Design on November 21, 2017 by BlagoyO. This entry was posted in Civil Site Design and tagged Civil Site Design on August 28, 2017 by BlagoyO. Три много добри филмчета за проектиране на кръстовище със Civil Site Design от Андрю Бенсън (на Английски език). This entry was posted in Civil Site Design and tagged Civil Site Design, Обучение on July 31, 2017 by BlagoyO. Build Surface командата се отразява вече и при повърхнини от сателитни данни и при комбинирани повърхнини. This entry was posted in Civil Site Design and tagged Civil Site Design on July 31, 2017 by BlagoyO. 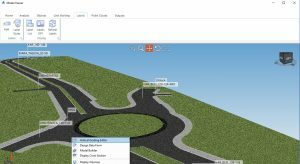 This entry was posted in Civil Site Design and tagged Civil Site Design, Обучение on June 14, 2017 by BlagoyO. This entry was posted in BricsCAD, Civil Site Design and tagged Civil Site Design on April 11, 2017 by BlagoyO. This entry was posted in BricsCAD, Civil Site Design and tagged BricsCAD, Civil Site Design on November 15, 2016 by BlagoyO.